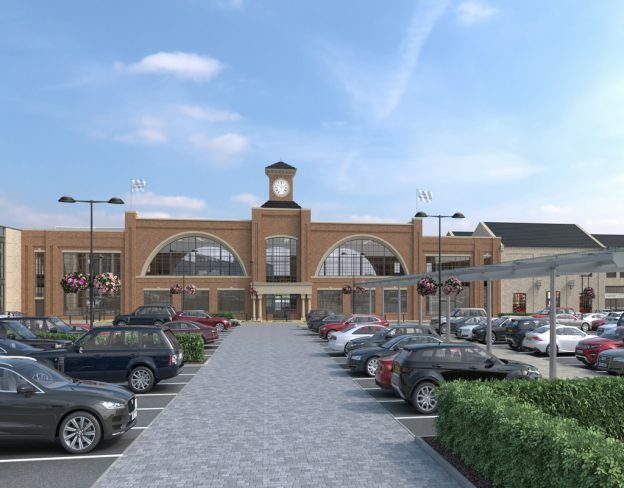 Dixon Dawson Chartered Architects have received unanimous approval from Rotherham Council for their design to deliver a new £50 million retail, leisure and office scheme for Waverley in Rotherham, delivering over 190,000 sq. ft. of mixed use space and creating 700 new jobs. The new development by Waverley Square Limited, a joint venture between Harworth Group Plc and Dransfield Properties Ltd, is a central part in the ongoing regeneration of the 740 acre Waverley site, Yorkshire’s largest ever brownfield development, close to Junction 33 of the M1 and will link the internationally renowned Advanced Manufacturing Park, home to major employers including Boeing and Sheffield University and 1,500 employees, and Waverley’s growing residential community, where 700 homes have been built and occupied over the last four years. This stunning design will bring new community facilities as well as restaurants and retail space to a thriving area. An attractive roof top walkway and gardens have been incorporated into the design, as well as landscaped piazza areas with multi jet fountains and a “town square” where Farmers’ Markets can be hosted. Development is expected to take around two years to reach full build out, with construction work due to begin in Spring 2018. This entry was posted in News on 02.11.2017 by Sharon. 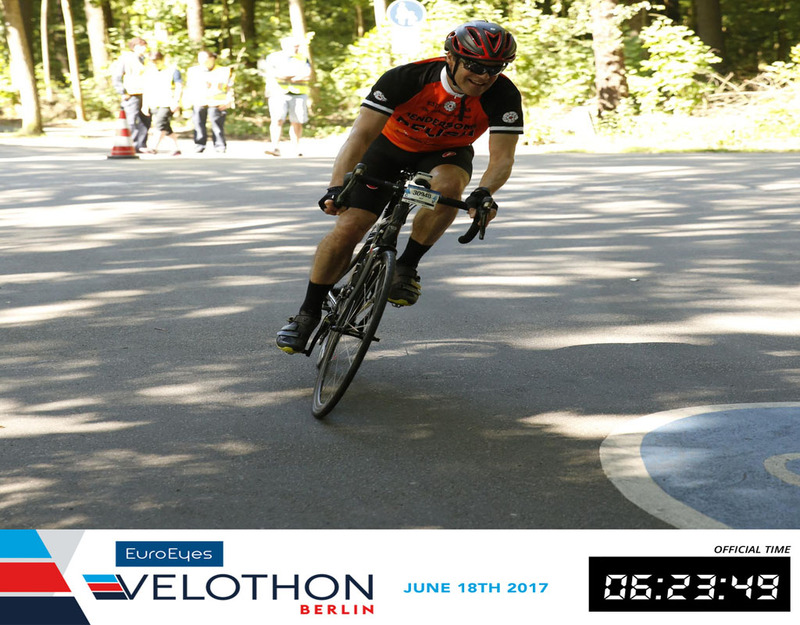 Guy Dawson, Partner of Dixon Dawson Chartered Architects successfully completed the Velothon Berlin 180km Cycle Ride on Sunday 18 June. The event which also included courses of 60km and 120km attracted over 11,500 participants from 77 nations starting and finishing at the Bradenburg Gate. 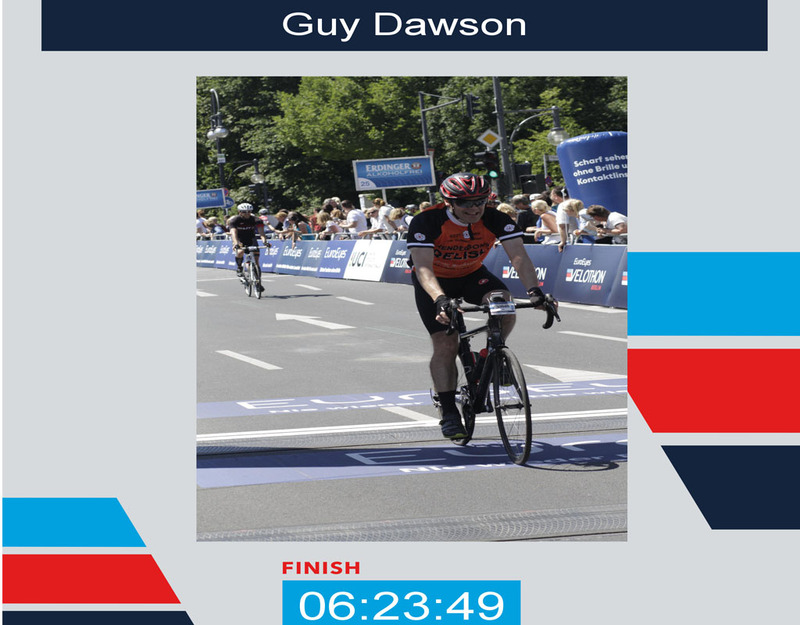 Over the past few months Guy’s training routine around the hills of Durham, Sheffield and The Peak District equipped him well for the trials and tribulations of such an epic ride, which he completed in just over 6 hours in scorching 28 degree heat. This is the first time Guy has undertaken this iconic event and has raised over £3,300.00 for CRESST, a local charity delivering conflict resolution education for young people by young people. This entry was posted in News on 29.06.2017 by Sharon. 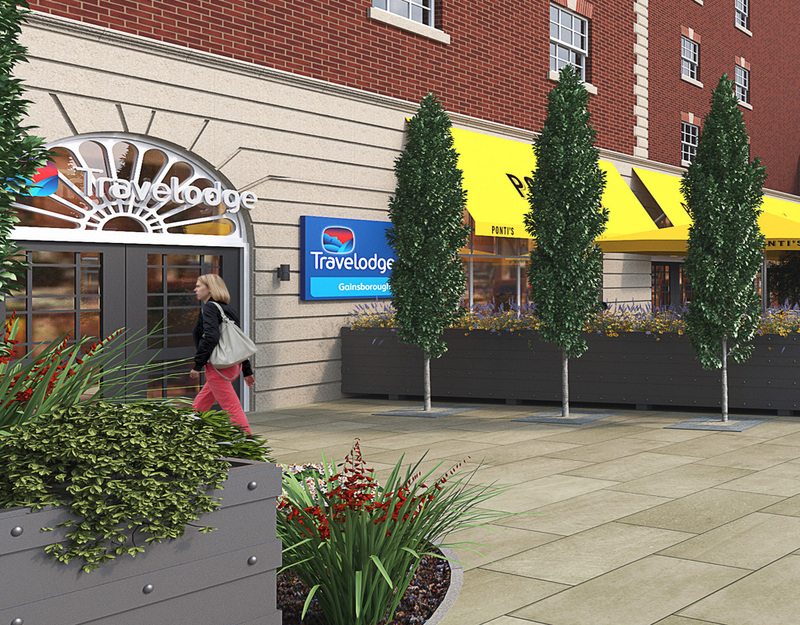 Plans for a major development of a key town centre site in Gainsborough – including a brand new hotel, have been unanimously approved by Councillors. Dixon Dawson Chartered Architects were appointed by Dransfield Properties Limited to transform the Market Street, Market Place, Church Street and North Street area of the town by designing a stunning new 56 room Travelodge hotel on the site of the former Sun Inn as well as wider regeneration schemes to refurbish town centre shop front, creating an Independent Quarter in the town along with improvements to the existing Roseway Car Park. The plans were approved by West Lindsey District Council’s Planning Committee at their meeting on Wednesday 31 May 2017. Work can start on the development site once approval for the demolition has been confirmed by the Secretary of State. The first phase of work will deliver the new hotel and a Ponti’s Italian Kitchen restaurant on the ground floor including an attractive alfresco dining area and water feature inspired by Paley Park in New York. 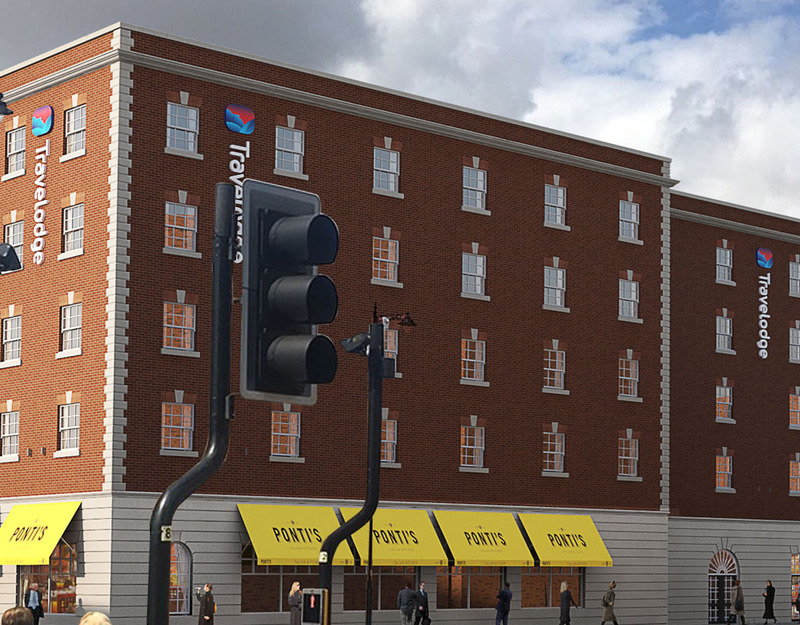 The hotel and restaurant will be housed in a stunning Edwardian style building with entrances from Market Street and the Roseway Car Park. This entry was posted in News on 07.06.2017 by Sharon.